Here You can see the success story of beekeeper's in India. 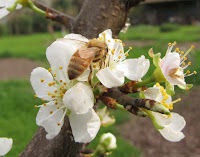 You can also post your own story if you are a successful beekeeper. The success story is published on our website only after all required verification. Every one want to know about others story of success before starting any business. These story are Inspiring others who want to start new business. Each and every person is unique. Every successful person has a unique story. He crossed many obstacles in his life. Success is not so easy but many peoples are daring to do miracles in their life. Every one has the right to be success but some are doing extraordinary things. People want to know about you and your success. All human beings have a desire about others will know about him. Once people know about your success you have more energy to achieve more success in your life. So don't afraid to post your story. Click this link to read the inspirational success story of beekeepers in India. Send us your detail by filling the form below.